An interactive introduction to information and communication technology, which explains what goes on inside computers and what makes them do what they do. 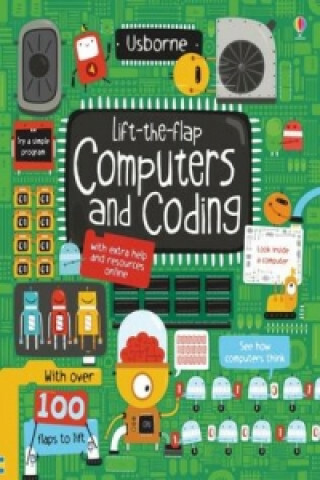 With lots of flaps to lift and look beneath, fact-hungry children will devour the fascinating data contained in this bright and engaging non-fiction book.Computer coding is now a compulsory topic on the UK National Curriculum for primary schools, and this book complements what is being taught in schools, providing a fun introduction to what can be seen as quite a technical subject.A return to the days when Usborne was a market-leader in computer books for children. Many of today's tech professionals were inspired by Usborne's coding books from the 1980s!